I’ve been working with Human Design since 2013, and doing readings since 2016. This tool changes everyone it touches. It is a divine tool unlike any other. It allows people a powerful perspective that can accelerate their evolution, and the evolution of our species. It beautifully aligns with age-old metaphysical teachings and modern science; a true mash-up of old light, new thought, and quantum science and exactly the message I’m here to share. Degrees in Journalism & Filmmaking. OJT Compassionate Care of Elderly. I ghostwrote 3 books on wealth management, stock market trading, and community leadership, but can’t list them here due to the Ghostwriter code. I also edited dozens of books on those subjects. And I’ve written and produced three music CDs, which are like mini-movies sharing my mystical musical message. When I discovered my Human Design I wept. My life suddenly became understandable. Human Design provided insight into my highly empathetic and intuitive nature and gave me confidence to trust those qualities. It let me laugh at so much past pain and let me understand how my nature could trip me up – and how I could leverage it instead. I have been part of the Quantum Alignment movement all my life. This meshing of Human Design, Quantum Physics, and Metaphysical Wisdom is a thing of beauty. Everyone is a sacred story. I love helping people write theirs. I feel great satisfaction when I see people start to discover the beliefs and illusions they’ve allowed to dampen their joy, obscure their purpose, and diminish their passion. My soul sings whenever I feel them shift – when their eyes light up and they recognize their true self – perhaps for the first time. I like to leave my clients with a sense of purpose, an awareness that they volunteered to make a contribution unlike anyone else. I’m happy if I help them write the next chapter of their sacred story. For our meetings I use my Zoom video room where we can chat face-to-face and share our computer screens if we want. Ive seen photos of babies and grandparents, and even a pet ferret. 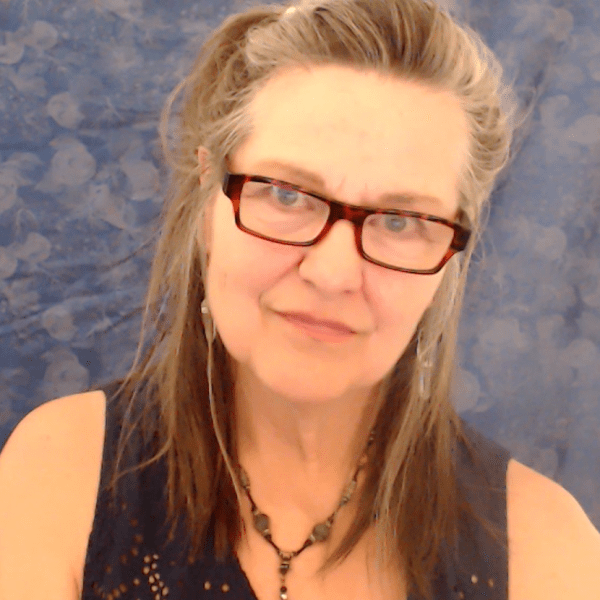 I’m not a mass-market kind of gal, so I do only a handful of readings each week. I tend to work with Reflectors and people with a LOT of open centers! Nobody is going to understand you like I do.